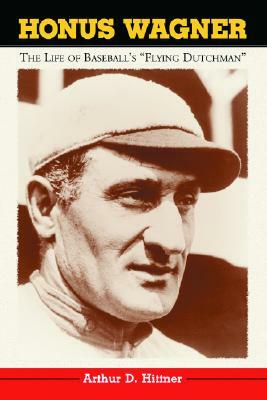 Regarded by many of his contemporaries as the greatest baseball player of all time, John Peter "Honus" Wagner enjoyed a remarkable career with the Pittsburgh Pirates. His record of 17 consecutive .300-plus seasons is a mark that will probably never be broken. He led the National League eight times in hitting, six times in slugging percentage and five times in stolen bases. Known as the Flying Dutchman, he also excelled in the field, defining the shortstop position for a generation. Though one of the original inductees in the Baseball Hall of Fame, he has often been overlooked by baseball fans and historians. A humble man whose biggest passions were hunting and fishing, the Pirate shortstop lacked the flamboyance of a Ty Cobb or Babe Ruth. He rarely smoked or drank, though sometimes he indulged in a sandlot game with the neighborhood kids. Based on contemporary newspaper accounts, family scrapbooks and correspondence, and Wagner's own vestpocket notebooks, this is the story of baseball's first superstar. Arthur D. Hittner is a business attorney in the Boston office of Nixon Peabody LLP. He is a longtime member of SABR and a former co-owner of the Lowell Spinners, a minor league affiliate of the Boston Red Sox. He lives in Natick, Massachusetts.